The Marks & Spencer Valentine's Day Dine In seems to get more impressive every year. This time around it's the same £20 deal which includes a starter, main course, side, dessert, wine or prosecco and a box of chocolates. The offer is in store now and will be available until Tuesday. The full selection and menu can be perused on the M&S site, and there are a lot of options to pick from with this deal, more so than during the traditional Dine In menus that run throughout the year. Here is a snapshot of some of the options, and my picks from what was available in the Bloomfields Bangor store. I went for the smoked salmon starter (see a couple of photos down). I can't help but be swayed by golden shiny food! For main course I chose a pair of sirloin steaks, and there is a rump steak option also. I reckon the garlic mushrooms are the perfect side dish to accompany the steaks. There are a couple of really impressive looking desserts, but the stand out dish has to be the rose shaped chocolate salted caramel mousses. The white chocolate raspberry spheres are equally special. I skipped the prosecco and chose the pink bubbly, but you can also select white or red wine, plus non-alcoholic choices too. 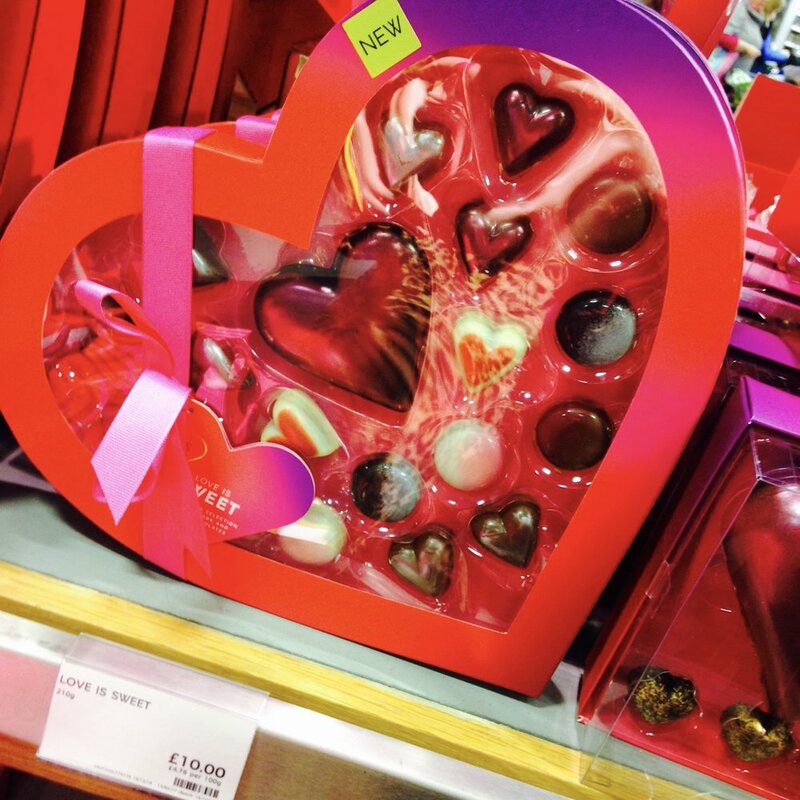 So the Dine In is a must-buy for one of the next couple of nights if not Valentine's itself, but the store is also bursting with confectionary gifts for the 14th February. There is a clever little deal a lot like the stocking offer they did at Christmas, but this time for £5 you get a heart gift box, then you pick three boxes of sweets to build your gift. It's a little bit of personalisation that will be appreciated, and it's a bargain to boot. Of course there are also a dozen gifts already to go to chose from, and I'm loving the metallic shimmer on all the chocolates this year.